We were pleased to be joined at our office this weekend by our good friends Craig and Kate from Craig Williams Photography. 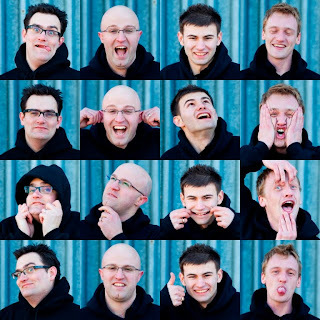 We had great fun as they shot our new DJ promotional pictures for 2010. We hope you like them below. 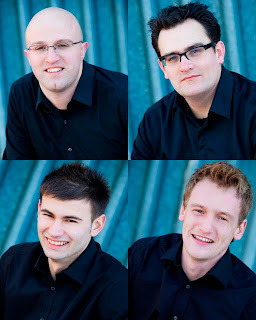 Keep an eye out for them on our website and various publications. 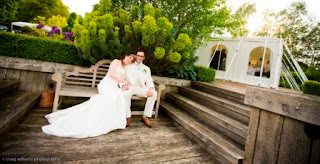 Thanks again to Craig and Kate…. your fresh, funky approach to photography is always refreshing. 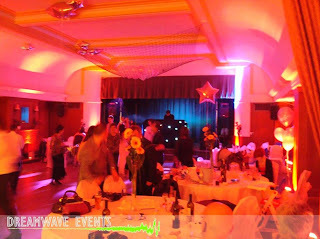 Saturday 5th September was a very busy weekend for us all at Dreamwave Events. 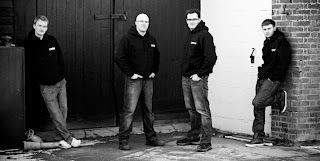 Paul & Martin were both providing our Evening DJ & Disco Services at a wedding celebration and at 40th wedding anniversary. 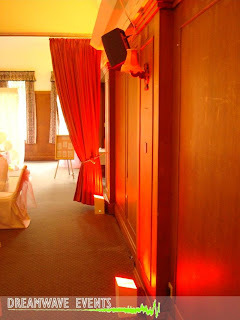 I also providing the same service but with a twist for an 18th birthday event in Brentwood, Essex. 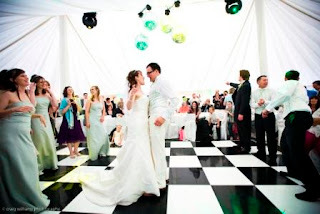 Our Clients had a private marquee in their grounds provided by our good friends Chelmer Marquees. 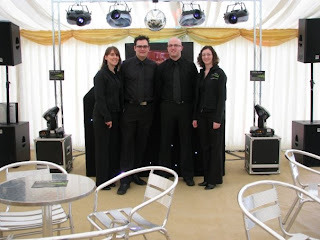 The marquee had a ‘glitz and glamour’ feel to it, with a blackout lining and deep rich coloured draping. You will see from the pictures below our sound & lighting equipment was set up in a club style for maximum impact and wow factor. The use of a green laser and smoke machine also added to this effect. While still trading as Dreamer Events we exhibited at the Colchester Gazette Spring Wedding Fair, held on Sunday 1st February 2009 in Charter Hall Colchester.